"I really try to feel the music and what it's trying to say." 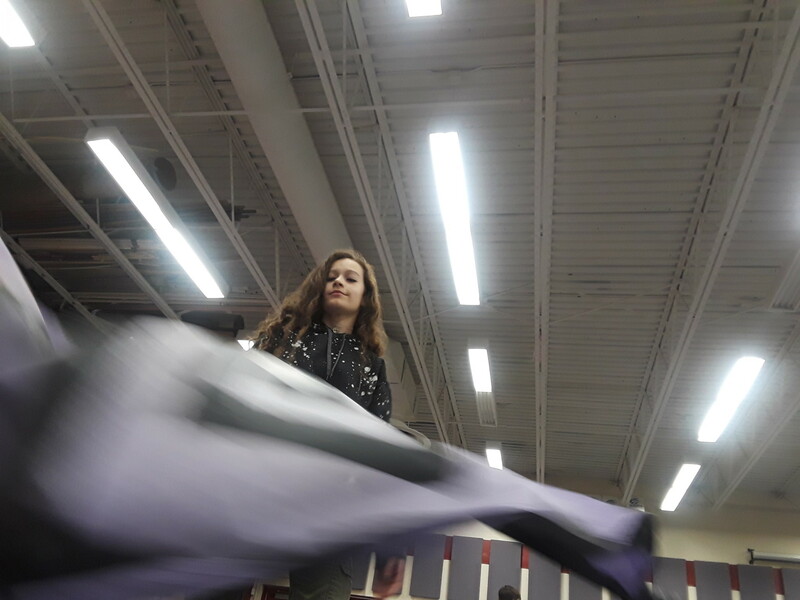 Winter guard is often times considered a Sport of the Arts because it requires the team to dance and perform, in varying levels of difficulty, with equipment in their hands. A guard is often run through a middle or high school program, however as a performer grows, they may choose to join an independent team not run through a school until they reach a world-class level. 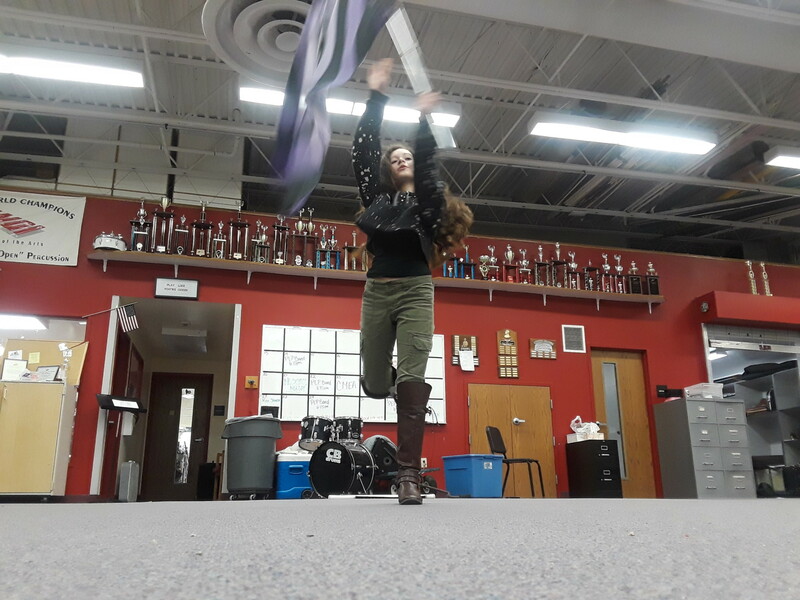 Freshmen Amanda Stillman is moving up through the guard ranks as she joins the independent guard, the Malachi IRA after a season of spinning with the Malachi Minis in 2018. 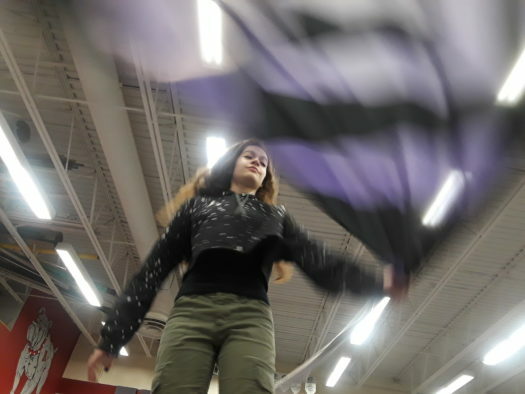 Arvada Argos: Why is it (winter guard) interesting to you? 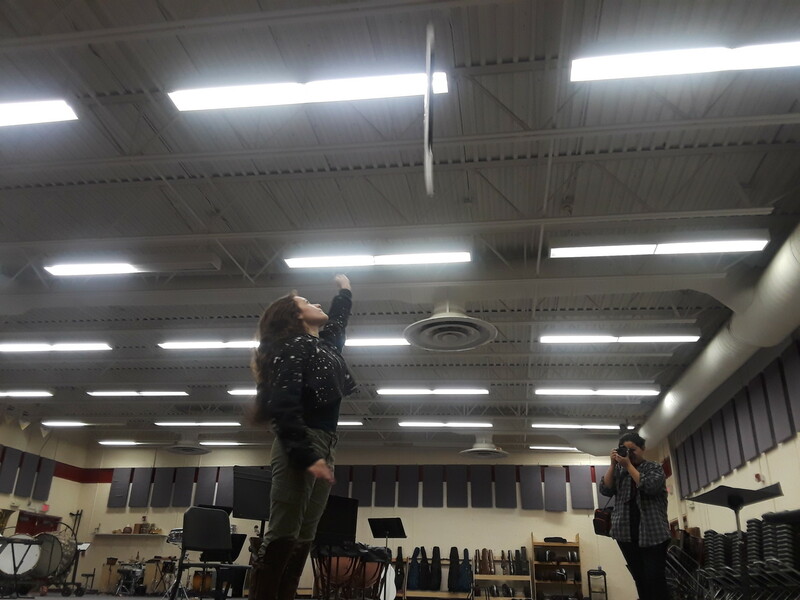 Amanda Stillman: I think it’s interesting because a lot of people don’t know about it, but then once you get really into it, each performance and the music and the dance and everything tells a whole big story. A.A.: Why would you suggest this sport to other teens? A.S.: I would suggest it because it’s really just a newer way to get active and to show off your personality. Just be yourself so you can turn whatever the show is into your show. A.A.: How do you express yourself through this sport? A.A.: So, I know joining an independent team means that there are auditions that you have to go through and it can be a very stressful process. So what are auditions like? What are some of the things that it entails? A.S.: Personally for me for the team I auditioned to, we had to go a full group audition and they gave us all really hard work and then based on our skill level and how well we performed, they placed us on a team. 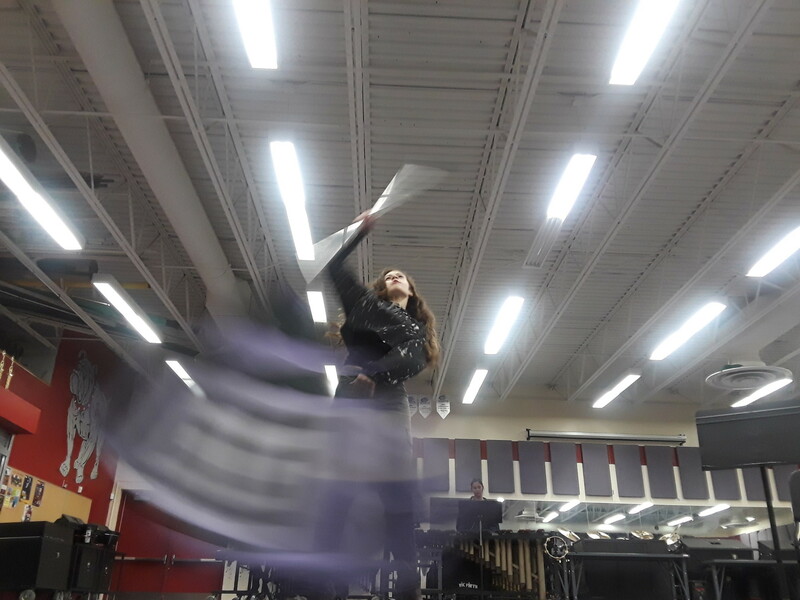 So there were specific parts, like first we did dance for an hour I think and then we split off into flag, sabre, and rifle and we did like 30 minutes on that and then we all did flag together. A.A.: What was the most challenging part of the audition for you? A.S.: For me, it was probably definitely when we split up into rifle and sabre because I really wanted to do sabre, but knowing that the team that I wanted on didn’t have a sabre, I couldn’t do that. If I didn’t audition on rifle, I wouldn’t have gotten on the rifle line. A.A.: So then what would you say your favorite mode of guard is? Mode being flag, rifle, or sabre. A.A.: Hopefully, right. So how do you feel knowing the season is about to start and you’re in this level of competition? A.S.: I’m really excited because it lets me just meet more people in my passion. On the first team I joined when North Arvada had a winter guard, it was only eight of us- I didn’t have many friends in it, but now I have like this whole, wide range of friends. Just the people you meet and how you all bond over it is just really cool. A.A.: You were in the Malachi Minis before this, so how did already being on that team kind of help you [get] on the Malachi IRA? A.S.: On the Minis team, they taught us some of the warm-ups for IRA because the goal of being on a lower team is to go up to a higher level team and then on IRA they do the same thing- they teach us stuff from the world team. So it just builds up the skill level and it gets used in auditions. A.A.: Do you have a certain goal set for guard, whether it’s being the best performer ever and going to finals for a season or joining a world team? What is your personal goal? A.S.: My personal goal at the moment is to obviously finish the season with MIRA and then try to eventually one day get on the world team because those people they’re like the best performers ever. It’s amazing.